Today for #SundaySupper we had to make a recipe to bring to a barbecue! One thing I never brought to a barbecue was cake! So I thought hmmmmm, why not bring cake? I was at the Farmers Market and I saw the sweetest, most plump blackberries ever and I thought, yup these would be perfect for my cake. Off to the kitchen I ran and after whipping, beating and baking I had a beautiful, low-calorie cake that would please any blackberry lover, like me! 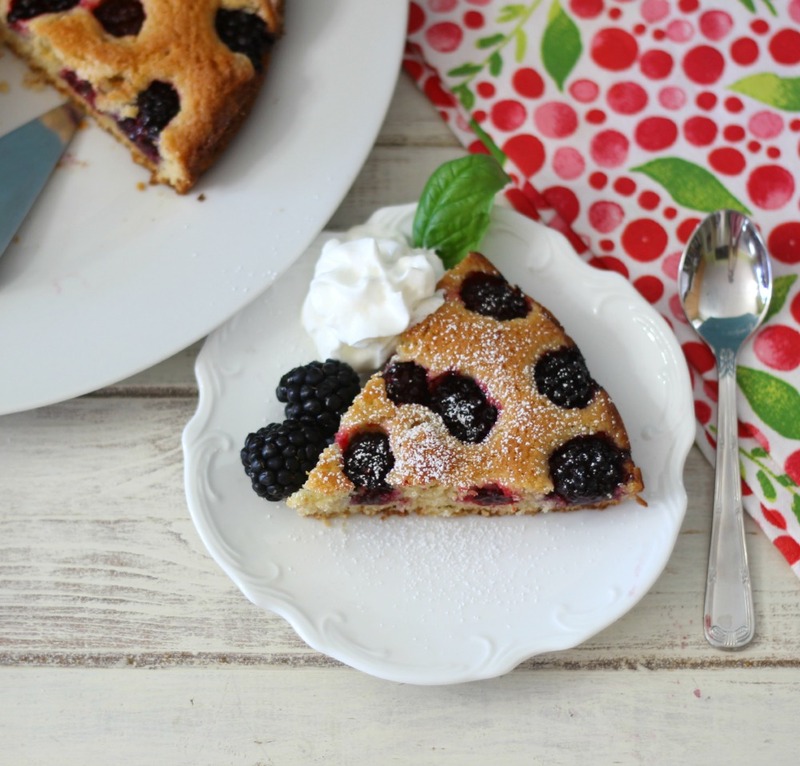 This cake is light, full of flavor, sweet and mighty delicious! You get a taste of a juicy blackberry in every bite!! Not only is it yummy, but it is also very easy to make and low-calorie too! I am in cake heaven with today’s recipe!! I love simple cake recipes like this! The cake is super easy to make too! I just whipped my eggs, sugar, vanilla until it’s light and fluffy, then I added my flour mixture and carefully spread it in my springform pan. The hardest part about the recipe is spreading the batter. The batter is kind of thick. Then I added my juicy, sweet blackberries that has been soaking in lemon juice and sugar. I baked it in the oven for 40 minutes and it was done. The key to this cake is letting it rest so all the flavors come together! It also travels very well too! Perfect for bringing to a party! 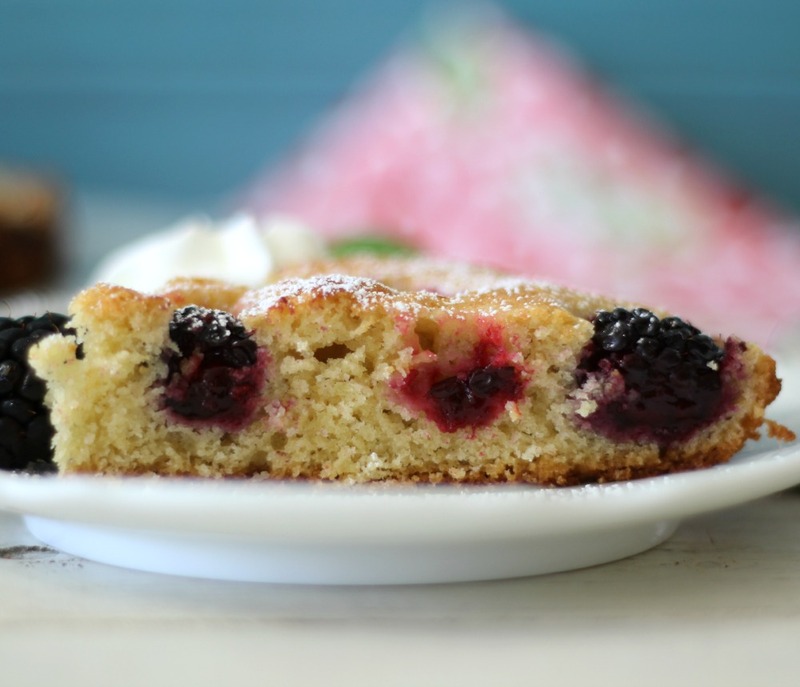 A light, buttery, sweet, low calorie cake made with fresh, sweet juicy blackberries. Grease a 9-inch spring form pan and line the bottom with parchment. 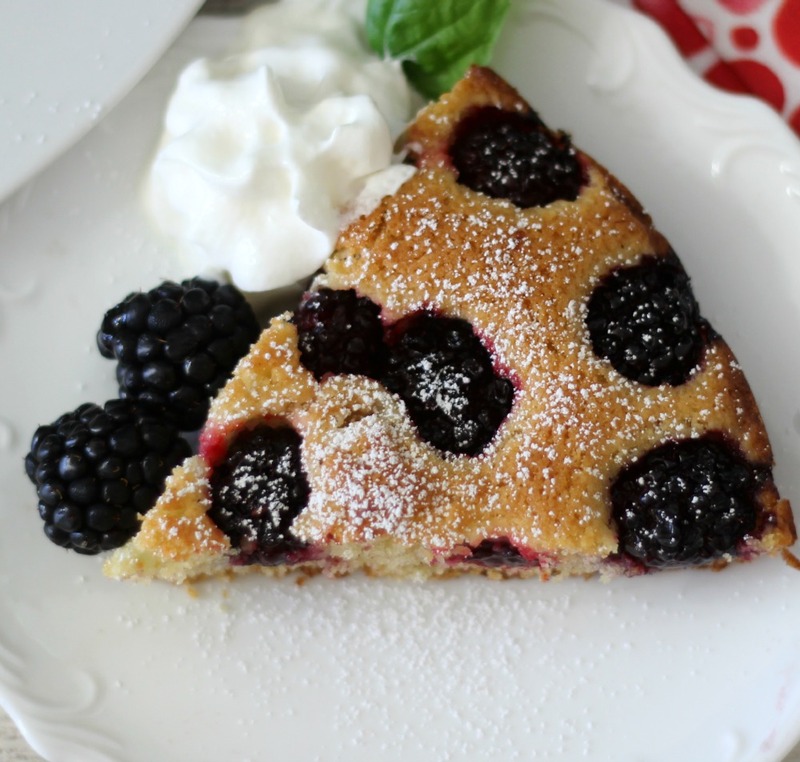 In a medium bowl, toss the blackberries with the lemon juice and 1 Tablespoon of the sugar. In a separate bowl, sift the flour, baking powder, and the salt. Using an electric mixer, cream the butter and ½ cup of sugar on medium-high speed until light and fluffy, about 3 minutes. Add the eggs, 1 at a time, beating well after each addition. Scrape down the sides of the bowl. Add vanilla extract. With the mixer on low, beat in the sifted ingredients. Do not over beat. Scrape into the prepared pan and smooth the top. Scatter the berries and any juices over the batter. Bake in the center of the oven for 40 - 50 minutes or until a skewer comes out clean and the cake just begins to pull away from the sides. Spring the cake free, then finish cooling completely. Slide a wide, thin spatula under the cake to transfer it to a large plate. Wrap tightly with plastic and let mellow at room temperature for several hours or overnight before eating. This cake tastes amazing sprinkled with a little powdered sugar and a dollop of whip cream, but it’s also darn good served with a side of vanilla ice cream, my favorite! Funny, as much as I love blackberries, I rarely every buy them, but after tasting how sweet blackberries are right now, I need more!! trust me and go pick up some blackberries! I can’t get over how sweet they are! Be sure to see what the others will be bringing to the party today! I wish I could have gone to Florida! I can’t wait to get all of the details from you. What a gorgeous summer dessert. Gotta love fresh and juicy blackberries. Pinned. Thank you so much Jennie! 🙂 Thank you for the tweet too. Perfect summer cake. I grew up in Oregon where blackberries were considered weeds. Now on the East Coast I can’t find them very often and when I do they are expensive. What a gorgeous dessert for a Summer BBQ Party!!! Looks so easy too!! When blackberries are good, they are so GOOD! This cake looks divine! Oh my, Jennifer … this looks and sounds absolutely divine! I think your cake will easily be the star of my next summer BBQ … how could it not be? 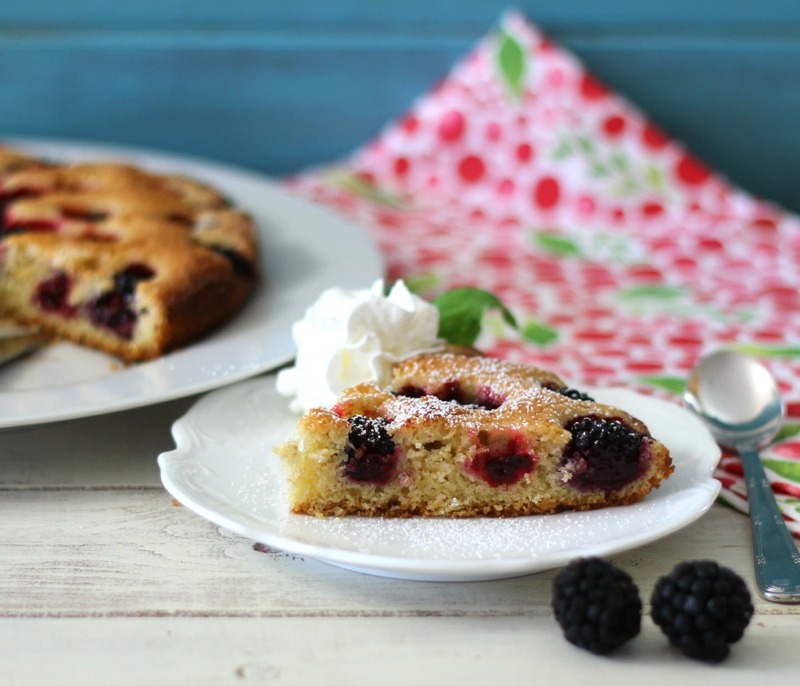 What a perfect recipe for Summer fruit! This is the perfect fluffiness–my gosh, I love fluffy cakes so much! And IT’S SO FLUFFY I’M GOING TO DIE 🙂 hee. I’m so glad I found you–this is such a vibrant recipe and would totally go well for my dad, who doesn’t like too-sweet stuff but is totally into light cakes. Happy Sunday, it’s so good to meetcha! It’s so great that this is a light dessert. I love it! Wish I had a slice! 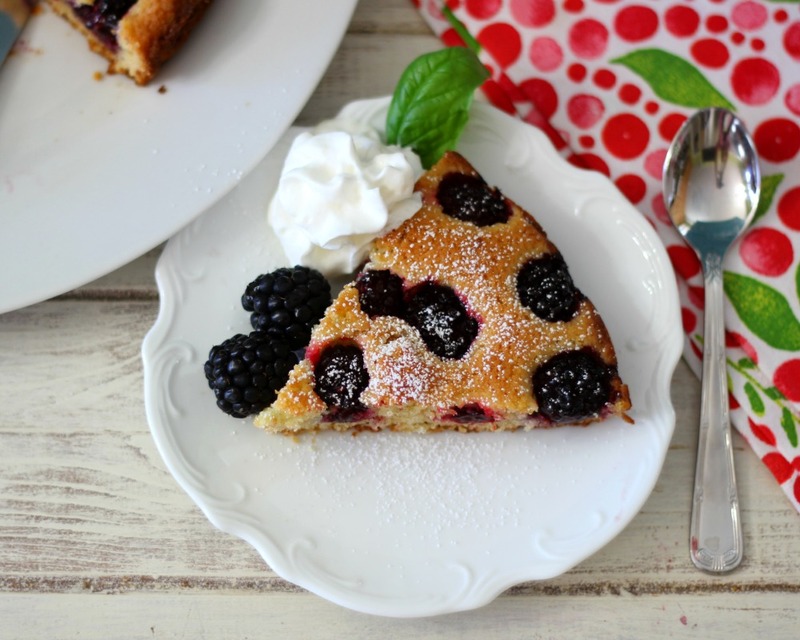 What a delicious way to feature yummy summer berries! Your cake looks wonderful, Jennifer! That is my kind of cake! I love that it is sweet and tangy at the same time and incorporates one of my favorite berries. Thank you Christy! I am just loving blackberries this time of year! This is my kind of cake, looks just sweet enough but not sickly and the idea of using fresh, in season blackberries on it sounds amazing. 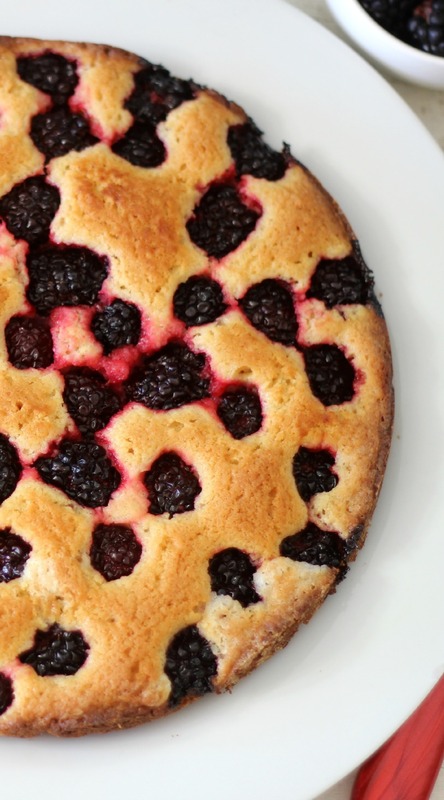 This is the perfect summer cake!